Pancake mix and all-purpose flour remain two staples in the American kitchen. Though the two look the same appearance-wise, they aren't necessarily the same thing. Though flour remains the main ingredient in most pancake mixes, flour itself is just finely-ground grain. All-purpose flour comes from wheat. All-purpose flour comes from wheat. Like the name suggests, use this flour for all cooking and baking needs such as pancakes, breads and sauces. 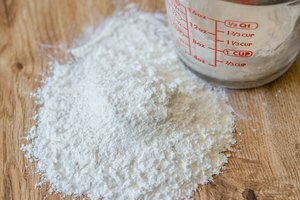 How is All-Purpose Flour Different? "All purpose" means that it has neither a high nor low level of protein. 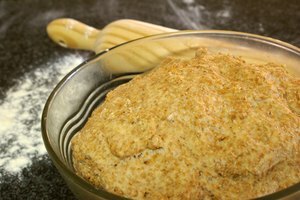 High protein bread flour usages include making yeast-risen products. 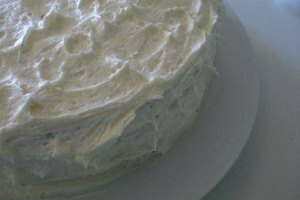 Low protein cake flour is suitable for lighter baking, such as cakes and biscuits. AP flour is right in the middle, thanks to the combination of high-protein and low-protein wheat that it's made with. Pancake mix is flour with other ingredients mixed in. Some commercial pancake mixes contain powdered eggs and powdered milk, while others only contain flour and rising agents and require the consumer to add wet ingredients. Instead of purchasing pancake mix, try making some at home. Just add together 4 cups of flour, 1/3 cup of shortening, 1/3 cup of powdered milk, 1/3 cup of brown sugar, 1 teaspoon of baking powder and a pinch of salt. Mix these together well and mash the lumps of shortening with a fork until the mixture looks like cornmeal. When you're ready to cook, mix in one egg and enough water to suit your taste. 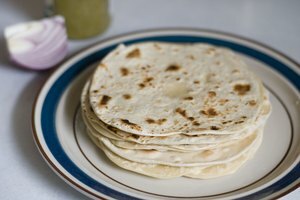 Smart Qanda: How is flour made?